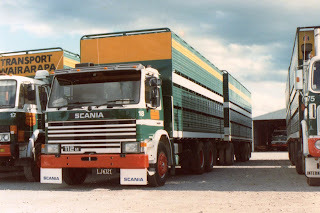 Some more from my archives. 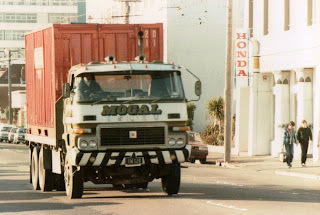 After the runout of D series Fords, in NZ, came the N series, which were badge engineered Hinos. 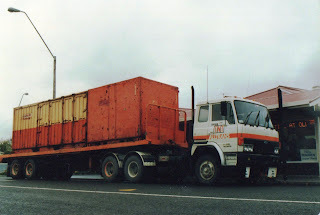 This one parked at Kuripuni shopping centre in Masterton on a rainy day. 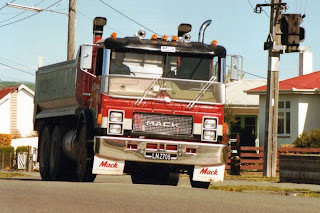 Pacific Metal crushed car bodies and then carted them away with this R series Mack parked outside Kerim Automotive (a car wrecking business) in Lincoln Road Masterton. 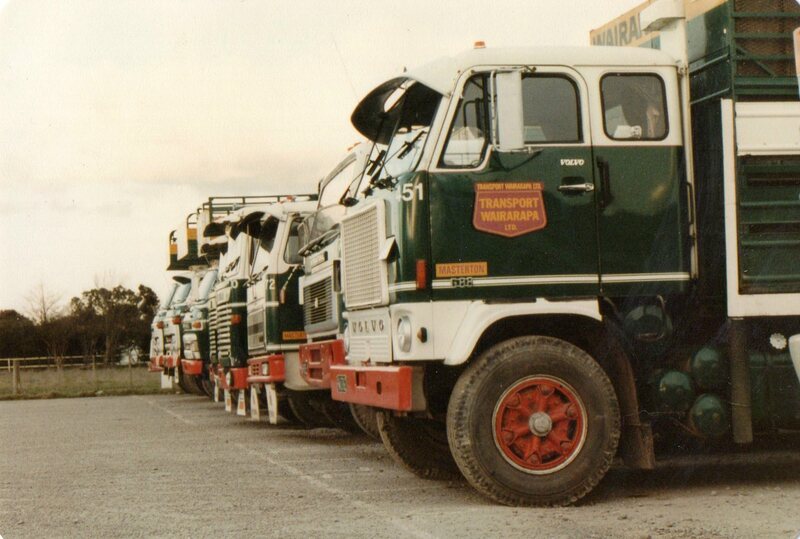 Some of the Transport Wairarapa fleet in the Masterton yard. 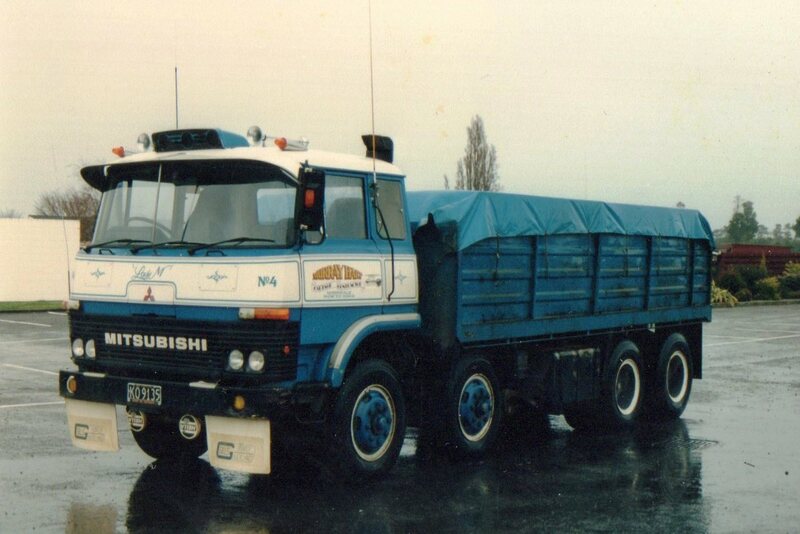 3x Nissan, 2x Scania, 2x International and 1x Volvo G88. 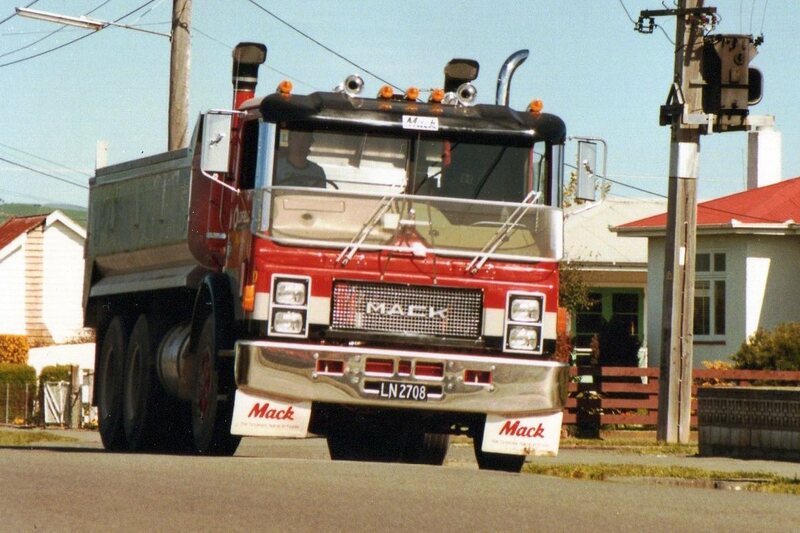 Oldfield Asphalts Mack MCE 686RST from 1985 heads west on Johnstone Street in Masterton. 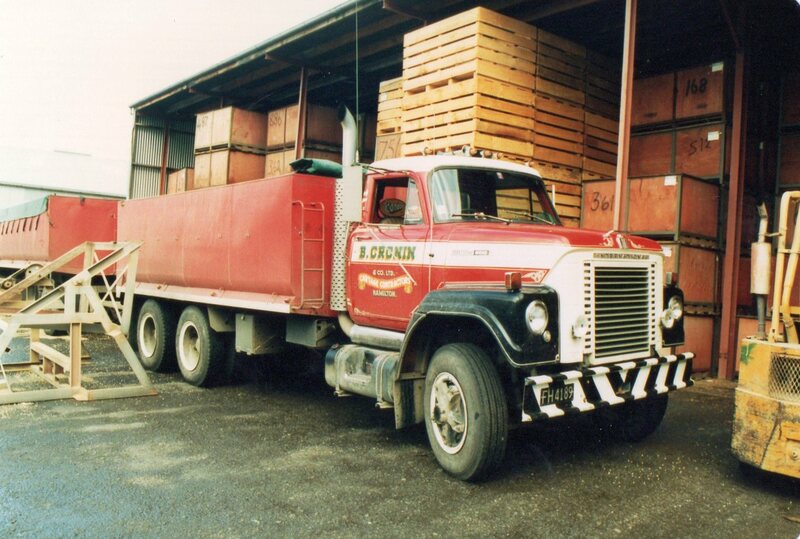 Another grain truck, this time it's Cronin's International Fleetstar. 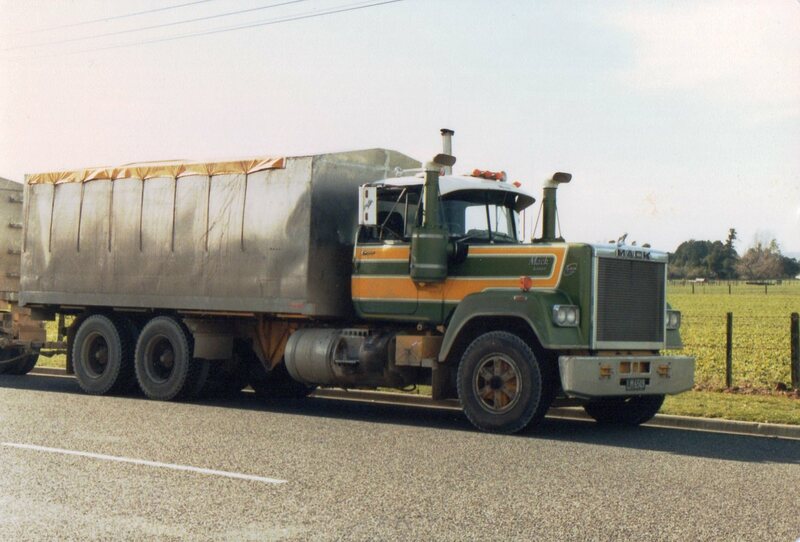 Transport Wairarapa's White Road Commander, of 1983 vintage, heading south on State Highway 2 near Upper Hutt. Murray Hart's smartly painted 1982 Mitsubishi FV315NR parked in the Homestead Tavern carpark on a wet winter's day. 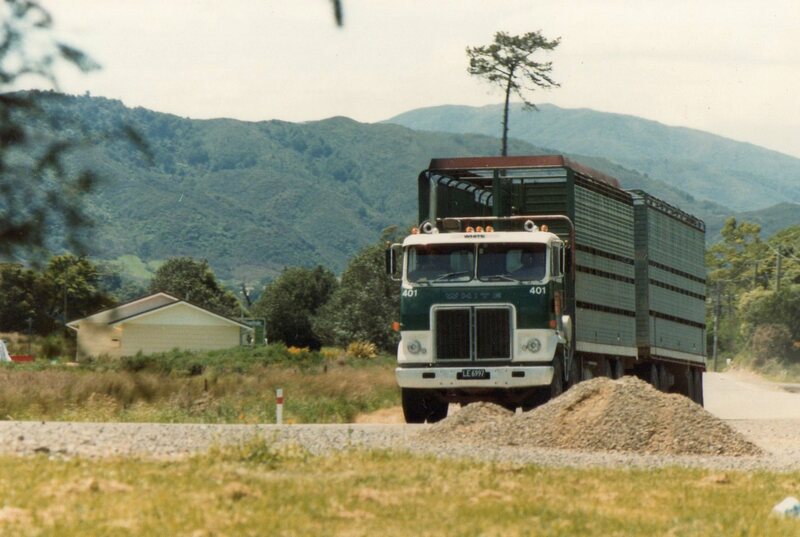 Probably not visiting the tavern, but staying at the adjacent Solway Park Motor Inn. 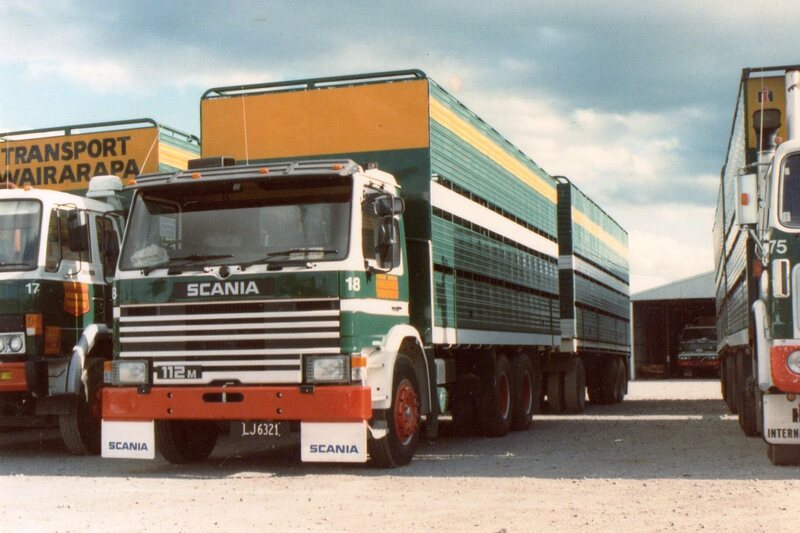 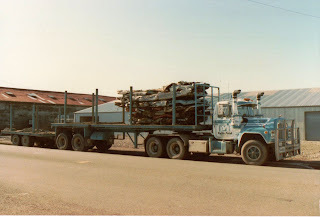 One of Neal Machirus's Scania LKT111 also from 1982, parked up at Petone on a weekend. 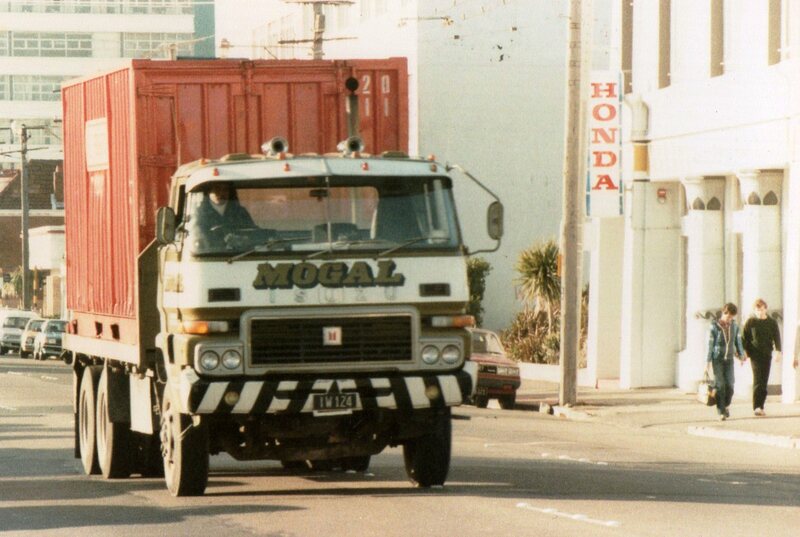 Mogal 6 wheeler Isuzu in central Wellington in the late afternoon sun. 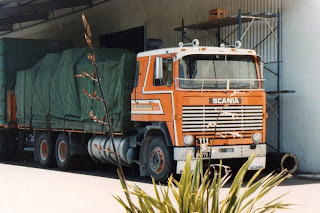 A Hargreaves Transport P112M Scania parked in the Transport Wairarapa yard in Masterton. 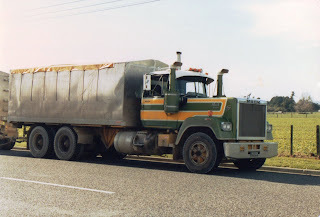 Hargreaves Transport owned Transport Wairarapa and shared the livery. Three R series Macks at A&J Hills depot in Palmerston North. 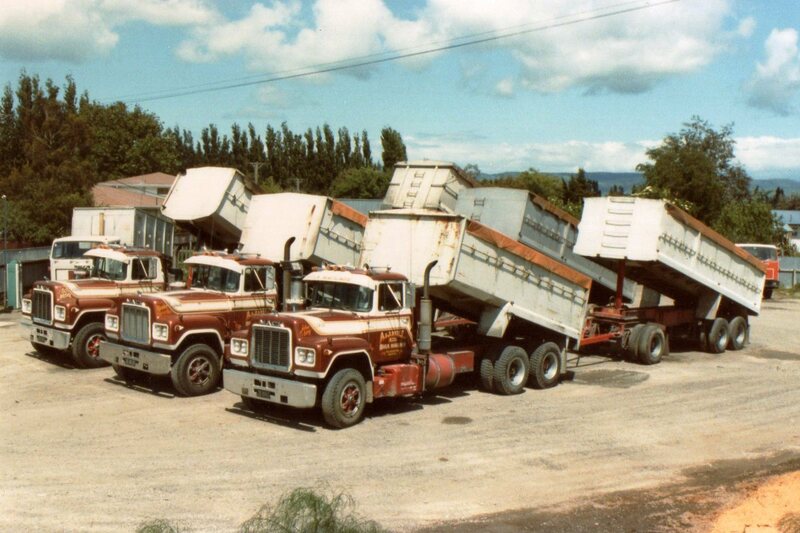 The middle rig is a V8, note the longer hood than the other two. 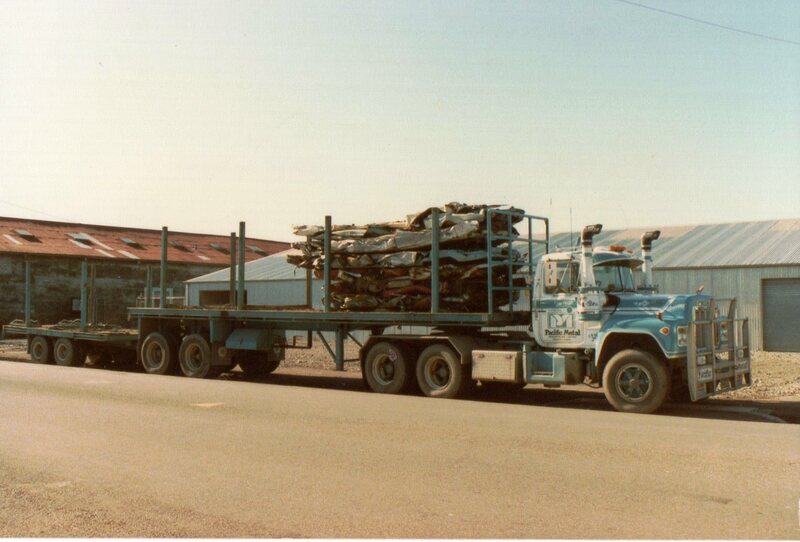 Bodies were left partly raised for the weekend so as not to hold water if it rained.